Nestled in the GTA and on a beautiful piece of acreage and with the different houses of the McLean House, the Carriage House and the Vaughan House and inside the McLean House is a fantastic space that is used by the bride on her wedding day in order to complete her day of preparation. It is often used for makeup and hair and most definitely used to get into her gown and have her mom and her maid of honour finish her up just right with her earrings, shoes, veil, flowers, garter, and something blue. This artistically decorated and historic feeling room with a fireplace and window light spilling in from the south is a comfortable and climate controlled room to keep everyone just the right temperature before the walk down the aisle. 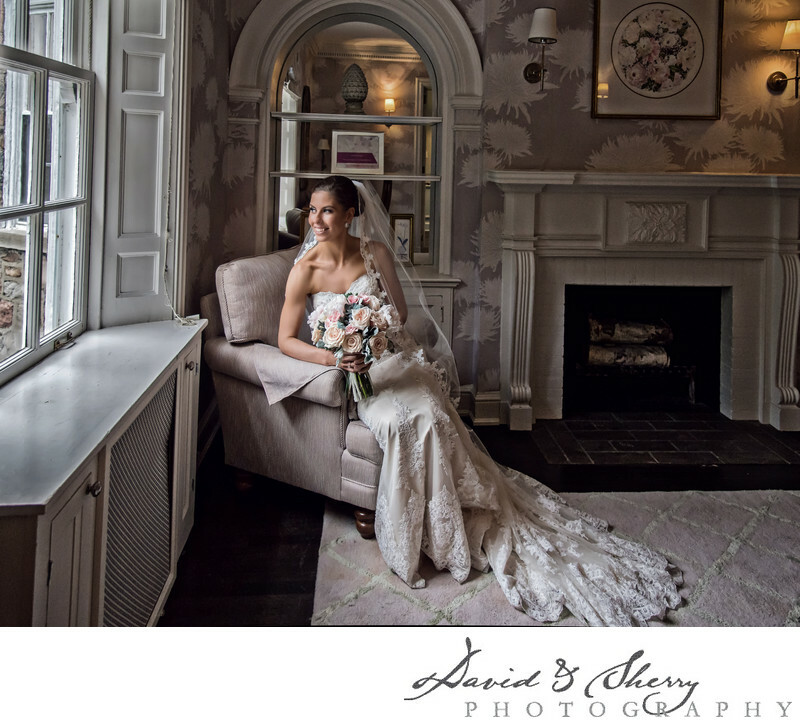 In this picture the bride is sitting on a chair with her flowers in hand leaning into the side of the chair looking out the window at her ceremony site as her guests gather below. The light coming in the window is giving a Rembrandt look to her face and is accentuating her beautiful features and the detailing of the lacing of her dress.